WASHINGTON — Michael Brown spent two decades running companies in Silicon Valley, eventually rising to CEO of Symantec, one of the largest software companies in the world, with annual revenues of $4 billion and more than 10,000 employees. 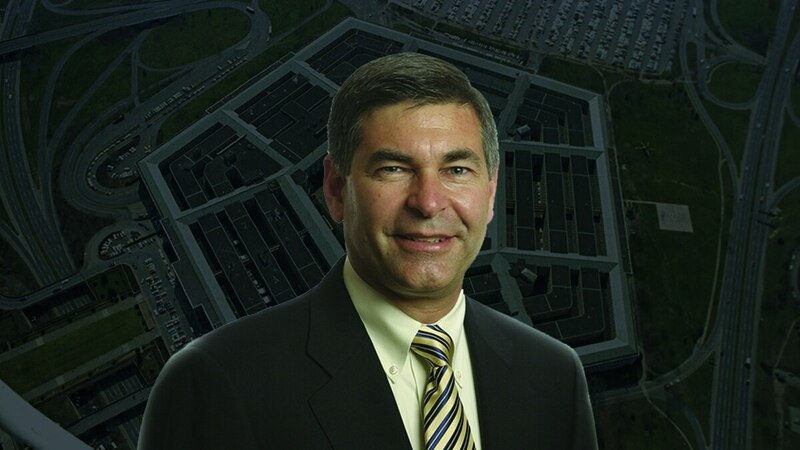 On Sept. 24, he starts a new job as the next leader of the Pentagon’s Defense Innovation Unit. While it comes with a much smaller budget, in the range of $40 million, it’s a job Brown believes he’s stepping into at a critical time. Brown spent the last two years as a White House presidential innovation fellow with the Pentagon, meaning he’s not coming into the world of defense cold with the DIU job. During that period he met Raj Shah, the previous DIU leader, as well as Mike Griffin, the Pentagon’s undersecretary of defense for research and engineering, who now will be Brown’s boss. Brown also co-authored a Pentagon study on China’s influence in the U.S. tech scene, an experience that has influenced his views as he prepares to take over DIU. “One of the things I carry with me is I understand the motivation of companies, CEOs, investors because I’ve been working with these folks my whole life,” he said of his qualifications. Created in 2015 to be the Pentagon’s outreach effort to Silicon Valley, DIU — until recently known as the Defense innovation Unit Experimental — has gone through several high-profile iterations. It opened offices in Austin, Texas, and Cambridge, Massachusetts, but also worked through two leaders. It went from reporting directly to the secretary of defense to the Pentagon’s undersecretary of defense for research and engineering. The group has also faced questions about its future from skeptical members of Congress, and resistance inside the building. The hiring of Mike Madsen to handle the office’s Washington operations is expected to ease those concerns, but Brown acknowledged he would be spending time in Washington every few weeks to shore up internal and external support. Brown’s comments on China put him in line with the broader Trump administration, whose officials have repeatedly pointed to China as a competitor, and the Mattis-led Pentagon, which has warned of risk from China both as a military competitor and in influencing American supply chains. DIU, to Brown, has a specific role to play in that race: getting the Pentagon the best commercially available technology, and hence freeing up funding to invest in the military-only capabilities, such as hypersonics, needed to check Chinese ambitions. Brown said some of DIU’s top priorities will include human systems engineering, information technology, cyber or advanced computing, autonomy, and artificial intelligence. He is also ordering a look at the various processes DIU uses to see if areas can be sped up, and whether other transaction authorities are being used to their full potential. He said he did not expect a significant restructuring of the office, but one priority is getting a human resources leader and new general counsel to smooth the transition of future hires. Capt. Sean Heritage, who has been acting as DIU interim head, will return to being the Navy lead for the office. The former CEO acknowledged that his background and high-level ties to the tech community may open doors that would be otherwise be shut (Brown was reportedly forced out by Symantec’s board in 2016 due to company numbers, making him the third CEO to be removed by the company in the space of four years). He also envisions working with academic institutions located near the three DIU hubs to encourage a debate on the issue. Part of DIU’s role is explaining to companies why they should support the department’s efforts. Silicon Valley has a reputation as being hostile to the military — a reputation that has only increased in recent months following an employee-led pullout by Google of the department’s Project Maven, an effort to incorporate AI into analyzing drone footage. Brown, however, said those concerns are largely “overblown,” noting the office is already in discussions with well over 500 different tech firms. Brown thinks he is the man to make that happen.